Kurz is set to boost up the mission's effectiveness. The special monitoring mission of the OSCE will continue performing its functions under the current mandate in the zone of the ATO, and will expand the area of its control over the entire territory of Donbas, the OSCE chairman, Federal Minister for Europe, Integration and Foreign Affairs of Austria Sebastian Kurz said as quoted by Interfax-Ukraine. "As for the mission, I ask you to be realistic about this issue, because the OSCE has 57 member states, and decisions are made by consensus," Kurtz said responding to a question about the possibility of deployment of the OSCE police mission in Ukraine. He stressed that the OSCE will do everything for the mission "operated as effectively as possible, monitoring all of the Donbas territory" to achieve an enduring cease-fire. 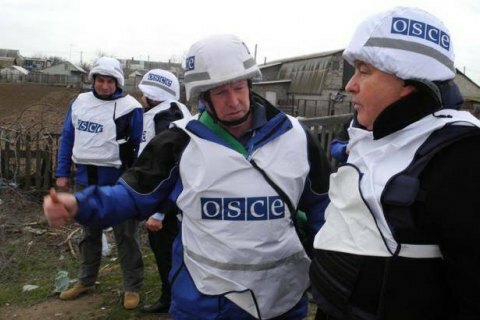 But the efforts of the OSCE mission is not enough. "Efforts are also needed where the decisions are made - in Moscow, Kyiv and other countries," said Kurtz. He also acknowledged the importance of the restoration of the destroyed infrastructure in Donbas, but stressed the priority of ensuring the cease-fire on both sides. "We need to continue to engage in dialogue and negotiations. But the Minsk agreement is the only document based on which we must act. And although the state of implementation of these agreements lives to be desired, I must say that the situation at the time of the signing was worse than it is now. And could be even worse. I'm not satisfied with the current "status quo", but in the absence of another fundamental document we shall implement Minsk," OSCE chairman said. The OSCE is one of the parties in the talks of the Tripartite Liaison Group for Donbas settlement. On 3-4 January, Kurtz was on a working visit to Donetsk Region to look into the situation. He was accompanied by Ukraine's Foreign Minister Pavlo Klimkin. Following the visit, Kurtz identified OSCE priority objectives in Ukraine, first and foremost establishing a ceasefire in the area ATO.